With the new year approaching and my 35th birthday right around the corner (my birthday is Christmas Day), I have been doing some thinking about how this year was and how I want the next year to go. 2018 was hard. It’s funny because it actually wasn’t AS hard as I imagined it could be when I found out I was pregnant with twins last year, but it truly was the hardest year of my adult life. It was hard, but it wasn’t unhappy. There’s a big difference! There have been years in my adult life (and if we go way back, we can add the entirety of middle school to the list) that I was unhappy – specifically my 24th year when I was going through a weird transition into adulthood out of college with lots of turmoil in relationships & friendships. I spent a lot of that year soul searching, crying and figuring out who I was. I wouldn’t take back that year either – I learned so much and it shaped me into the person I am today. And I don’t think its a coincidence that I ran my first half marathon at the beginning of my 25th year and that next year was one of the best ever! 2018 was another year that defined who I am. I was given twins and I truly believe that I wouldn’t have been handed this challenge if I couldn’t handle it. My girls are one of the most special gifts I’ve ever been given – even if I never asked for twins – I can’t imagine it any other way. This is the way our family was meant to be and I’m thankful for the hardship that came along with bringing them into the world because it truly was worth it. What made this year hard? I started the year largely pregnant with twins and while I carried those babies beautifully and to full term, which was not guaranteed by any means, being pregnant with twins wasn’t easy work. I was tired (daily naps were a requirement) and physical tasks that I previously took for granted were now daunting and exhausting. I felt like I was falling behind in a lot of areas of my life due to the exhaustion and doctors appointments. Siena went through the “terrible twos” and gave us many challenges – from night wakings, early morning rising (think 4:45 AM), temper tantrums, potty training, and more. At times she completely rejected me and told me to go away. I saw my relationship with her change. Once April arrived, it took time for me to accept that I would have to be induced and a natural birth would be out the window (in the end, wouldn’t change the birth at all, it was wonderful and I’m so thankful for their incredible health). I struggled to nurse the twins and ended up almost exclusively pumping and supplementing, which was an emotional choice for me. 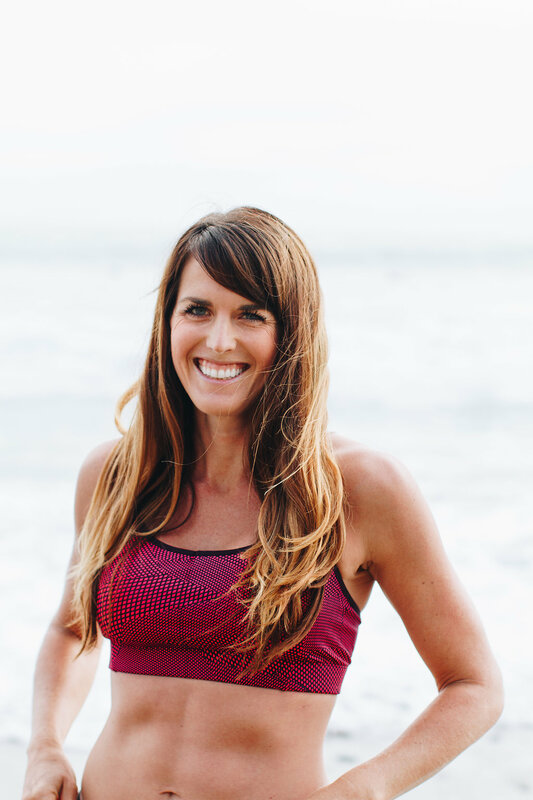 Fitness and running was a huge outlet of stress for me, but at times I struggled with guilt when I left the house to run or be alone because I knew it meant leaving Mike or some other caregiver alone with 3 demanding children. The day to day grind of caring for and cleaning up after (this part is actually the hardest for me, I hate cleaning!) was and still is, incredibly exhausting. There were many days that my clothes were covered in spit up, I hadn’t showered, my house was a disaster (ok this is basically everyday), children were crying at the same time, and all I wanted was a nap and 5 minutes to myself. With three children, Mike and I found ourselves spending even less quality time together and less time as a family because we were constantly switching off or dividing and conquering when it came to watching the kids or doing chores. I haven’t mentioned it previously online, but my husband Mike was laid off from his job (where he’d worked 8 years) on February 1st of this year. I was 7 months pregnant with twins at the time. We weren’t completely caught off guard as the company had just gone through a second acquisition in 4 years time, and we knew changes were coming (despite the fact that he made it through at least 10 rounds of layoffs previously). Mike has always dreamed of running his own business, and I’m incredibly proud to say that he is making that dream come true, as he worked SO hard to launch his own digital marketing business this year called Open Water Marketing. Mike puts all of his heart into each of his clients and he thinks through problems with that most aren’t willing to bother with. He offers a unique marketing package that includes an analyses of the traffic coming to his clients’ sites and how those people interact with it. Based on all of this, he creates customized recommendations for how his clients improve their businesses and increase sales (and can help implement those recommendations if needed). He understands that marketing is not one size fits all and his clients appreciate that. I am truly proud of his integrity in creating his business – he is not willing to do anything but provide the best. For me, I wasn’t sure how my Beachbody coaching business would be impacted by this huge change in my life. I’m happy to say that my coaching business has actually taken huge leaps this year despite limited time. I found myself being more efficient with the little time I did have and I’ve been able to help literally hundreds of people with their health and fitness this year and help many women start their own Beachbody businesses. Beachbody coaching is truly a way for me to connect with other likeminded women, to learn and grow professionally, to contribute financially to our family (I was able to exceed my income goal for this year) and to keep myself accountable to my own fitness and health. Most importantly, it’s a way for me to keep a part of my own identity during a time of all consuming motherhood. But while Mike and I are both following our dreams and passions, there obviously is an amount of stress that comes along with the uncertainty of launching your own businesses during the same year you are having twins, while not having a steady source of income (or health insurance!). At times this stress was very intense, but we both knew that if we continued to follow our passions and work hard, that we would be rewarded. The word I wanted to define my year, 2018, was “grace.” I wasn’t always good at giving myself grace, I admit. I am the type to put a lot of on my plate and expect a lot of myself. I tend to want it all and it’s hard for me to let others or myself down. But, I did give myself grace in many areas and at many times. Pouring into my health and fitness by doing the new LIIFT4 program and training for a half marathon this year, was truly an outlet for me and not only relieved stress, but gave me time for myself and made me physically feel better all around. 2018 was hard – but its as incredibly rewarding. The love I feel for my family is abundant. Holding my girls in my arms is one of the best feelings in the world. Watching my children grow and learn is an incredible blessing. I was HAPPY this year, it was just hard work. But isn’t it true that we feel the most satisfaction from the struggles that test us most? And truly I know that the worries, stress and work I’ve mentioned here are insignificant compared to the hurdles and struggles of many all over the world. I know I am fortunate and I am privileged, but that doesn’t mean my worries, fears and hardship aren’t significant to me. I am thankful that Mike and I are both home every day with our family. I am SO incredibly lucky to have my health, the health of my family, a beautiful home, to live in a city that we love, to have a loving, supportive husband who shares in so much of the workload, generous and caring friends, a loving mother and mother and father and law who help us with childcare and shower our children with love, and so much more. So, goodbye 2018. You were transformative. You were HARD. 2019, here I come…and I have a feeling it’s going to be wonderful. What was the biggest struggle you endured in 2018? What was your biggest triumph? Sorry to hear some of your struggles this year. Kudos on you overcoming all of them. does your hubby network with local chamber of commerce or does he use Linked-In? I know those things have helped small business owners a great deal with getting the word out about their services. Good luck and best wishes for an awesome 2019!! Thank you very much! And that is a great idea about the chamber of commerce! Yes, he’s on LinkedIn , it’s a great tool! Thank you so much Jen and happy new year and happy holidays to you! What an amazing year for your family!! I’m so glad that Mike was able to launch his own business and your girls are all beautiful!! Cheers to another great year!! No need to respond to this comment. I too was going to suggest the Chamber as a resource for Mike. I’m actively involved in multiple chambers for my job and they are really good at helping entrepreneurs (at least they are here). I bet there are also larger virtual resources out there similar to LinkedIn but maybe with a marketing specialty. Just a thought. Also, what you said about 2018 being hard but not unhappy rang so true to my heart. 2018 ranked as one of the hardest years of my life as well but I’m not unhappy. I had never thought to phrase it that way but I really like the way you said it.